Amelia Ivory kitten heel from the ‘Enchanted’ bridal collection of Bella Belle. The classic and chic ivory wedding heel features hand-sewn illusion mesh upper graced with delicate Alencon lace. 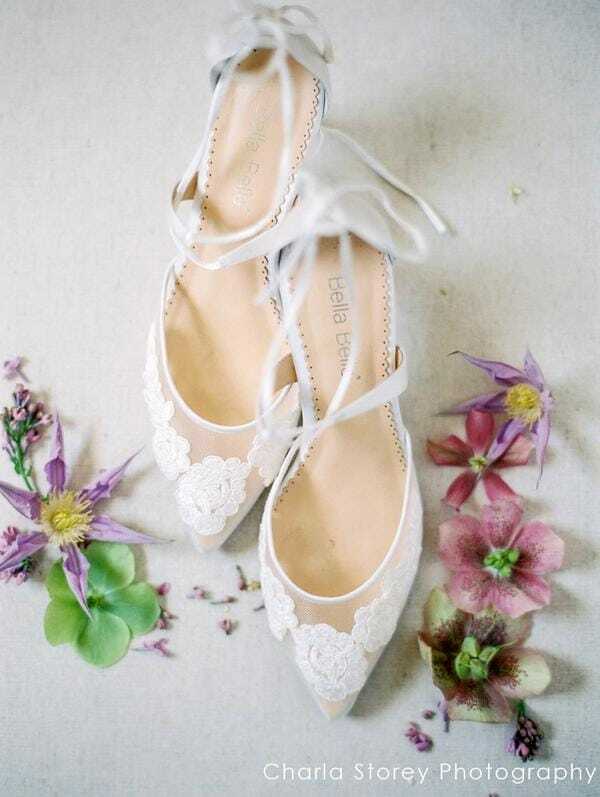 The cross ankle straps and lovely tied bow at the heel cups provides a secure finish and adds a feminine touch to an already romantic wedding shoe. To top it off, the heavy padding ensure all-day comfort.